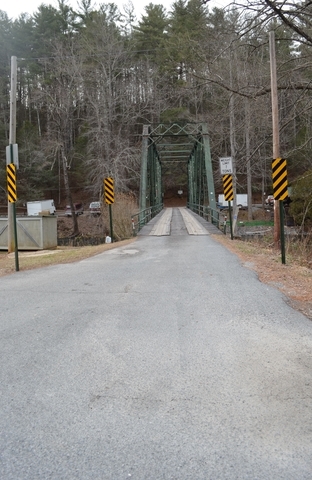 BLUE RIDGE, Ga. – Shallowford Bridge Road could see upgrades including paving in the future. Public Works Director Zack Ratcliff discussed with the Fannin County Board of Commissioners (BOC) the possibility of receiving federal grant money to complete these projects. Public Works Director Zack Ratcliff discusses a federal grant to pave a portion of Shallowford Bridge Road. 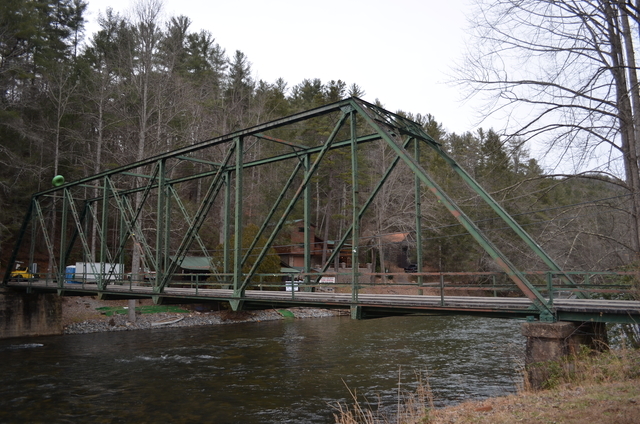 If allotted this grant amount through the Forest Service, the county would be responsible for $34,543. 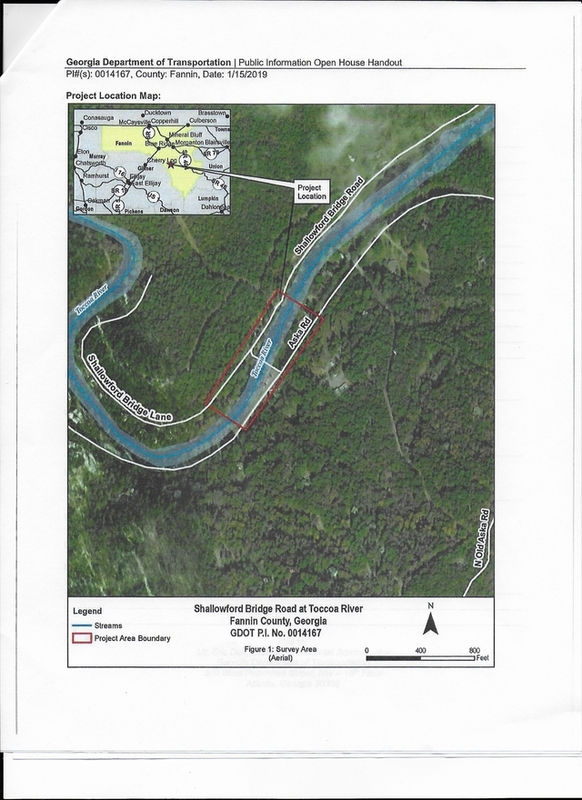 “They’re going to let us do a mile in forestry service property,” Ratcliff said, explaining that special permission had already been given to conduct this project. Ratcliff replied that it would be paving and also informed the board that the work would need to be contracted out. The county can also reapply for this grant in the future to continue similar pieces of work in the county. Fannin County Emergency Management Agency (EMA) Director Robert Graham approached the BOC with a request regarding the county’s emergency alert system, Nixel. “Tonight, I would like to ask for the commissioners to consider the renewal of the contract for our alert system for the county,” Graham opened the discussion with the BOC. The Nixle Alert System is one of the county’s many tools in providing citizens with up-to-date information regarding any emergencies or situations within the county that require resident’s attention. Fannin County’s Nixle currently has 4,075 residents signed up for text alerts, 1,636 signed up for email, and the reverse 911 option has the ability to presently reach around 14,000 people. The current contract for the Nixle Alert System expires at the end of this month. The new contract is for three years with a guaranteed price of $8,022.67 per year. This is an increase of $233.67 from the county’s current contract. Post 1 Commissioner Earl Johnson looks over a contract renewal for the county’s Nixle Alert System. Of the $8,022.67 per year, the cities of Blue Ridge and McCaysville each pay 23 percent of this total, while the city of Morganton pays 8 percent. This leaves a remaining 46 percent for the county to compensate. “It sounds like a much-needed tool,” Johnson shared of his thoughts on the contract renewal. The BOC unanimously agreed to renew the county’s contract for the Nixle Alert System. Graham also gave a brief update on the search for property for Fire Station 2 (Mineral Bluff). Johnson had previously questioned the status of this station at a prior BOC meeting. “We feel like if we move any direction out of Mineral Bluff that we need to look towards Highway 60 North,” Graham stated. Graham cautioned that the station should not be moved out of the community more than a mile and that moving it any further could result in ISO (Insurance Service Office) ratings for residents of that area being affected. Graham said that his team will continue to be on the lookout for suitable property for Fire Station 2. Chief Land Development Officer Marie Woody presented the BOC with a county-wide initiative to curb the littering problem that Fannin County faces. This new program is dubbed the Stop The Littering Campaign. This new program hopes to bring cooperation on many fronts in Fannin County, including that of the residents. As of April 2018 all waste transfer stations in the county will require all loads to be tarped or covered before going over the scales. If a driver is found in violation of this policy, he or she will be required to turn around properly, secure the load and then proceed to the scales again. The county is also asking citizens to report any littering that is personally witnessed. A witness must be willing to testify in court before a citation can be issued. Residents can report littering to 706-258-5170 or 706-632-8321. Woody updated the board on the condemnations within the county. The first condemnation is located on Salem Road. “We can go forward on it. It is now owned by a bank,” Woody explained. A formal letter will be sent to the bank in Austin, Texas, next week. 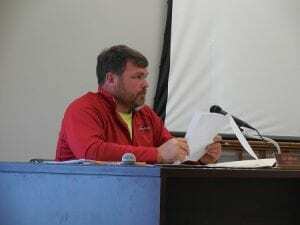 A property on Bell Road is also a candidate for condemnation, but Woody explained that ownership of that property is still being settled, so moving forward is not an option for the county at the moment. 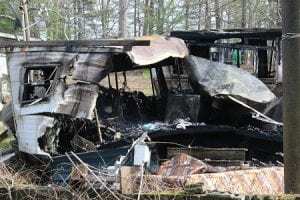 Scenic Drive site where two mobile homes were destroyed by fire. The county is also looking into a new site located on Ada Street. This property will have to go to Superior Court, according to Woody, for public health and safety reasons. 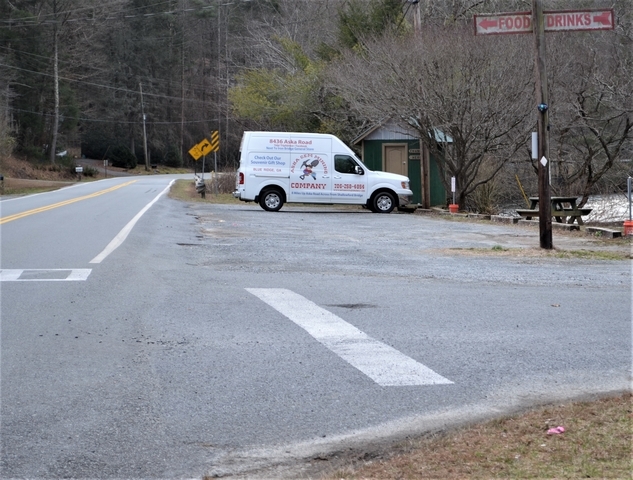 Finally, Woody addressed the board on property located on the corner of Scenic Drive and Davis Road. This property was the site of a home fire that left two mobile homes as a complete loss. Woody had been working with the owner of the property to get the site cleared, but the owner, who had been ill, recently passed away. 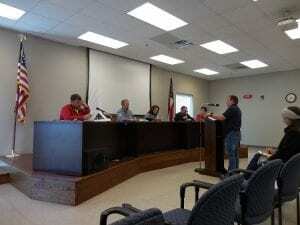 The Fannin County Water Authority (FCWA) will see a new face on the board. The board unanimously agreed and voted for Mark Burger to serve a three-year appointment on the FCWA. Also getting an unanimous reappointment was David Falls, who will serve the FCWA board for another three-year term. Two citizens, Ralph Garner, of Blue Ridge, and Joe Webb, of Dial, spoke during public commentary and expressed similar concerns to the board. Both citizens spoke of the expenditures of building the new Fire Station 1 and E-911 center. “The impression given by our board is that no borrowed funds will be needed to build the new fire station,” Garner spoke of the recent reveal that borrowed funds would be needed for the project’s completion. Garner suggested letting Special Purpose Local Option Sales Tax (SPLOST) money accumulate and using these funds for the project’s completion instead of borrowing the funds. Garner and Webb both also voiced concerns over the recent removal of Lane Bishop from the Board of Assessors. “There needs to be a stated need and basically resumes and interviews,” Webb added.